Getting a garment for a third of its retail price is something we should all be aspiring to do, not only is it cheap but it can also be used as a bragging right to your friends. Seeing your friend rock up to an event wearing their new outfit which was purchased for hundreds of pounds online is just too easy of a target. When your whole outfit costs less than £60 and looks ten times better, you can both come to the conclusion that you’ve been the smart one in this situation. 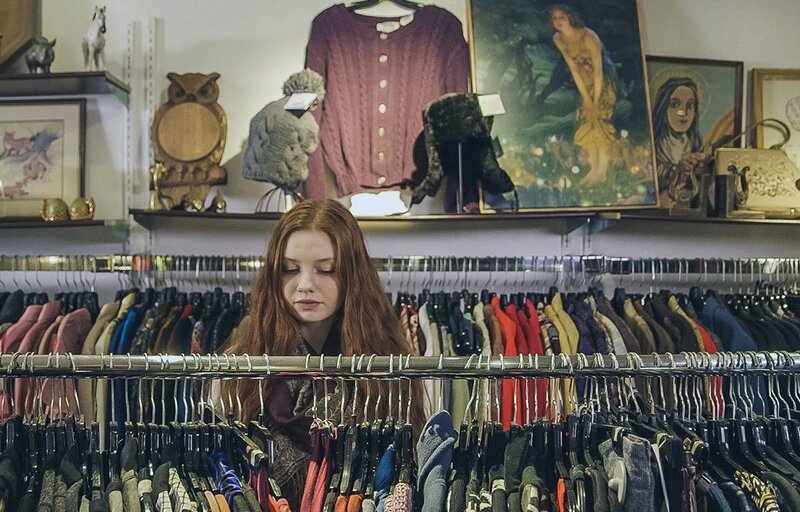 This short article will pinpoint the best vintage clothing shops in the area and give you an opportunity to visit some of the most original and authentic stores in Brighton. A unisex store focused on providing both second-hand and new clothes from independent labels as well as more established brands such as Jack&Jones and Bellfield. The store is hard to miss with its striking zebra paintjob on the outside of the shop, and truly lives up to its seemingly fun and wacky nature. Since facing financial trouble in 2011, and being on TV for a revamp show on Channel 4, the shop has since been on the rise. Stock has increased and there’s now a wide variety as well as an increase in the quality of items on sale. TO BE WORN AGAIN This store has a large collection of vintage clothes at reasonably low prices. With many unheard-of brands, as well as more traditional vintage ones, this store is definitely worth a visit. It’s situated in one of Brighton’s vintage and more eccentric areas and is surrounded by everything that makes Brighton the city it is. Once you enter the store you’ll be blown away by the variety of clothes on display. The stock ranges from old sports caps, to vintage Nike sweaters and even Tommy Hilfiger dungarees. A very cool store and worth a visit. A modern store with a wide variety of established brands. Although the items for sale are slightly more expensive, the brands are all there. The number of unique items also stands out from other shops in Brighton. Clothes are more specifically picked and there isn’t just a never-ending pile of plain, cheap clothes available. Brands such as Raf Simons, Fred Perry and Gucci have been known to go on sale here, so don’t expect your normal tacky vintage shop here – be selective and get stuck into the authentic feel of Pauly’s Laundry. A massive vintage clothing store in Brighton. The warehouse aesthetic of this store only adds to its character and even gives you a sense of excitement about what rarities can be found inside. As well as vintage sportswear, retro shirts and distinctive accessories, Beyond Retro also has a huge array of denim products on sale at reasonable prices. Although there isn’t as many well-known brands throughout the store, it more than makes up for that with the sheer amount of clothes on sale. You could easily spend over half an hour in this store and still come back to find a brand-new garment you’ve never seen before. This store has a lot of brands available. There’s vintage Adidas, Carhartt, Champion, Dickies, Fila, Fred Perry, Lacoste, Levi’s, Nike, Ralph Lauren and Tommy Hilfiger to name a few. Items are also pretty cheap, with the only exception being some Levi’s jeans as well as higher end brands on sale. The store itself is eye catching and more than lives up to its competition. Be sure to check out this place – the heart of everything related to vintage and retro fashion in Brighton. There’s plenty of scope for unique items online. One of our favourites is bikerringshop.com. Their online skull ring shop offers a huge collection of creatively designed sterling silver jewellery. There are plenty beautiful and reasonably priced items which will reflect your independent spirit.